NBA Live 16 is a basketball video game for the PlayStation 4 and Xbox One published by EA Sports on September 29, 2015, it is currently the latest of the NBA Live series. 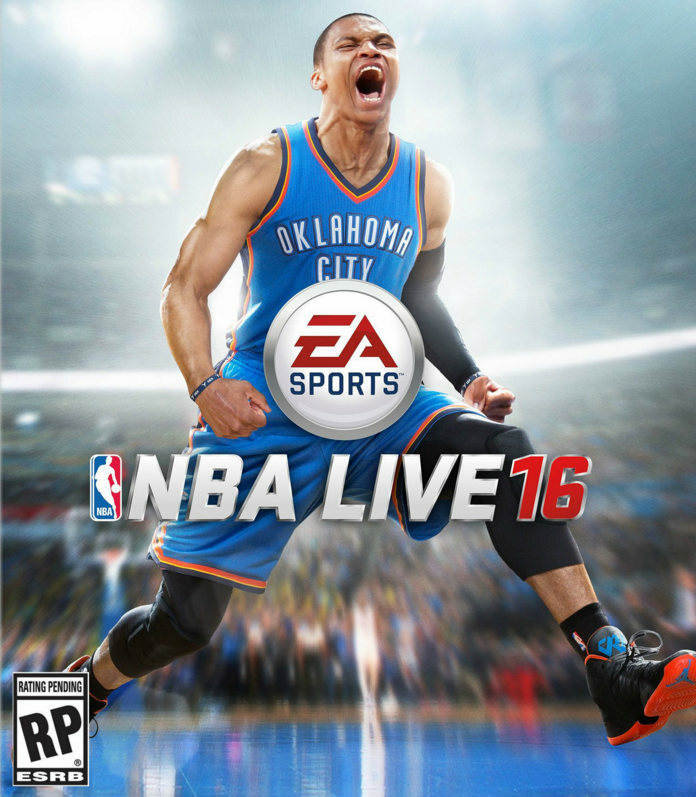 The above is the cover artwork of NBA Live 16, which features Russell Westbrook of the Oklahoma City Thunder as its cover athlete. The font used for the logo of NBA Live 16 is very similar to Stratum 2 Black (manually italicized). Designed by Eric Olson and published by Process Type Foundry, Stratum is a family of typefaces built from a synthesis of contemporary and historical sources. The austere geometry of early 20th century display faces paired with a desire for a contemporary lowercase have merged to produce this family of six weights. The Stratum font identified above is not available for free, please follow the link above and purchase the font. Meanwhile, you can take a look at our collection of fonts for cars, pop music and apparel as well as round-ups of new & fresh fonts around the web. In addition to NBA Live 16, Stratum typeface is also used in the following logos, movie posters or album covers etc., including: Madden NFL 17, Driveclub.